A 3 year old caravan with central heating and double glazing for £20,000, the Willerby Vacation is a innovatively designed holiday home, ideal for those looking for their first static caravan. 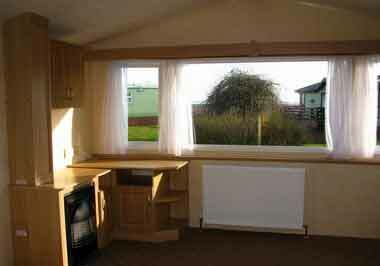 With central heating, double glazing and a separate shower room and toilet it is an ideal retreat for a family. 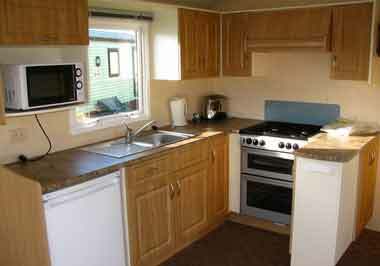 This 2 bedroom caravan also features a cleverly laid out and fully furnished kitchen and there is a connecting door between the master bedroom and shower room. The caravan looks out onto an extensive flowerbed with sea views beyond.